Nike’s Air Max 270 silhouette has understandably been given an immense amount of the brand’s attention since its initial debut last month. Serving as the first lifestyle-engineered Air Max offering, the Swoosh wants to make it available for its consumers in as many different colorways as possible. 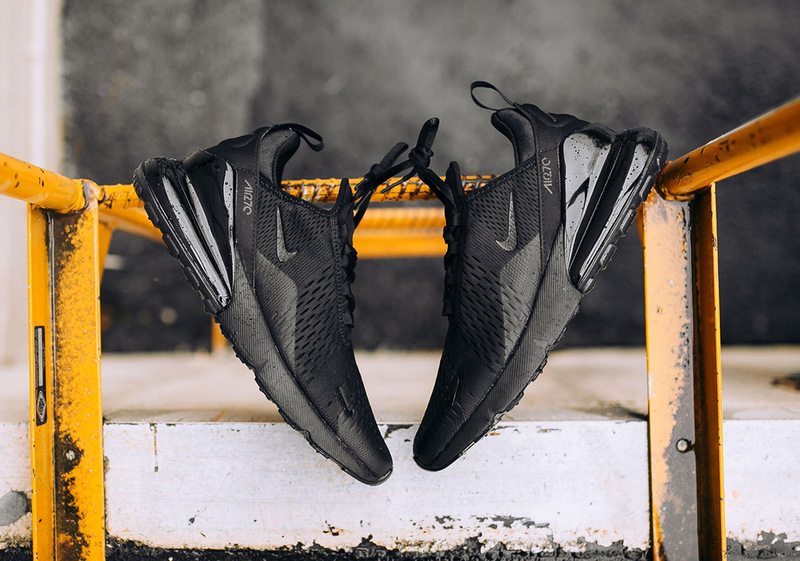 Next up to join that list is the always popular “Triple Black” aesthetic that sees the 270 decked out in black from the ankle collar all the way down to the outsole. Fans of this blacked out 270 will be able to pick up a pair from Nike Sportswear retailers like Rock City Kicks on March 16th for $150 USD.